A broker/dealer is a company that a registered investment professional is required to affiliate with in order to buy and sell investment products on behalf of investors. The Securities and Exchange Commission (SEC) delegates the supervision of financial advisors to the Financial Industry Regulatory Authority (FINRA). 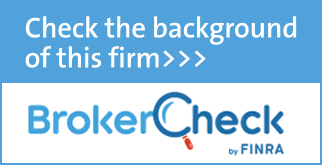 FINRA, in turn, requires us to choose a broker/dealer to partner with on your behalf. The fact that we’ve chosen to work with Commonwealth Financial Network® (Commonwealth), an independent broker/dealer–RIA, means that our firm remains independent, too. We are free to act solely in your best interest, without bias and without pressure to promote a particular product or strategy. It’s a model that differs from that of some other, larger financial firms known as wirehouses, whose financial representatives are accountable not just to their clients, but also to the parent company that employs them. Commonwealth is also independently owned and managed, which means the firm retains the freedom to allocate resources where they’re needed and to act in the best interests of its financial advisors and their clients—not shareholders. Commonwealth goes far beyond what’s required of a broker/dealer; the entire organization is built around doing whatever it takes to satisfy not only the advisors who work with the firm, but the clients of those advisors as well. It’s that infrastructure—and the always expanding wealth of resources it provides—that makes it easier for our firm to provide you with the best possible guidance and the prompt, personal service you expect and deserve. It is no surprise that for the fifth year in a row, J.D. Power and Associates ranks Commonwealth “Highest in Independent Advisor Satisfaction Among Financial Investment Firms” of its 2018 U.S. Financial Advisor Satisfaction StudySM. Service. The firm’s advisor-to-staff ratio is one of the best in the industry. This means staff members answer our calls promptly, execute transactions quickly and accurately, and, in general, offer our firm the same first-class treatment we strive to give you. Technology. Commonwealth’s technology platform is a critical component in our ability to provide you with first-class service and support. Its integrated web-based systems allow us to more efficiently manage your portfolio and your overall financial picture. Security. 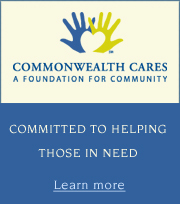 Commonwealth is second to none in its commitment to safeguarding your privacy and ensuring that your investment data remains secure. From encryption standards to disaster recovery plans and other measures the firm employs, we are confident that the information our clients entrust us with will remain secure. ** Commonwealth Financial Network® received the highest numerical score in the independent advisor segment in the proprietary J.D. Power 2010, 2012, 2013, 2014, and 2018 Financial Advisor Satisfaction Studies.SM The 2018 study is based on 3,227 total responses and measures overall financial advisor satisfaction among advisors registered with the Financial Industry Regulatory Authority (FINRA) investment firms. Proprietary study results are based on experiences and perceptions of financial advisors surveyed in January–April 2018. Your experiences may vary. 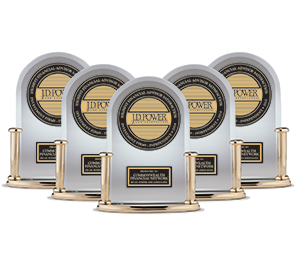 Visit jdpower.com/awards.